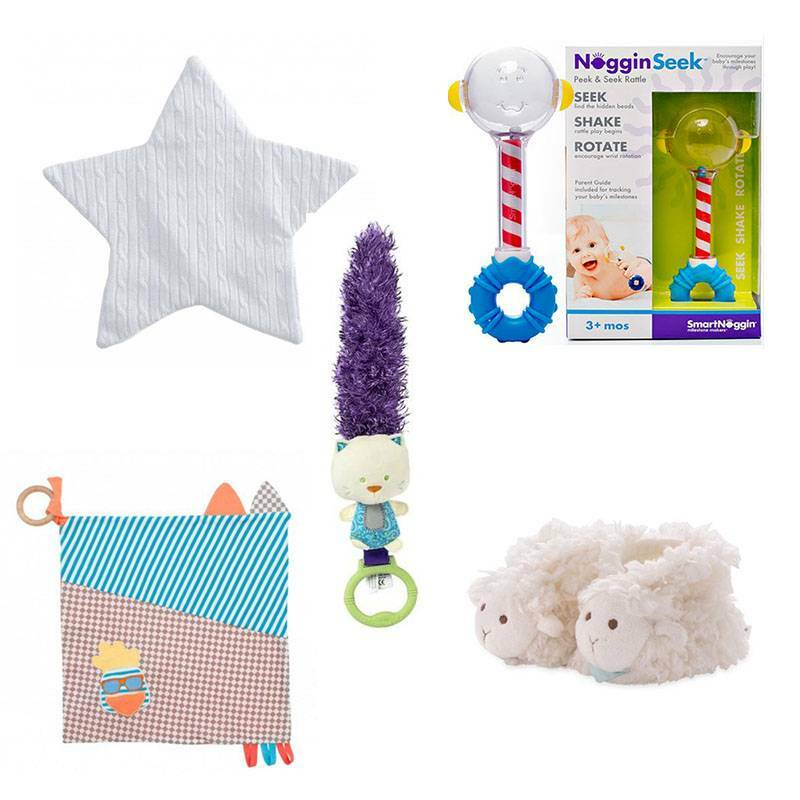 "He's not really doing anything yet..." How to buy toys for a newborn. What do teeny tiny babies like? Bold patterns like polka dots and stripes. Soft sounds like crinkling, squeaking, and rattling. Textured details like tags, embroidery, and silk. 100% silicone or untreated wood for chewing. Safety first! Be sure to avoid small parts or any part that could be detached. For example, opt for stuffed animals with embroidered eyes instead of beads.